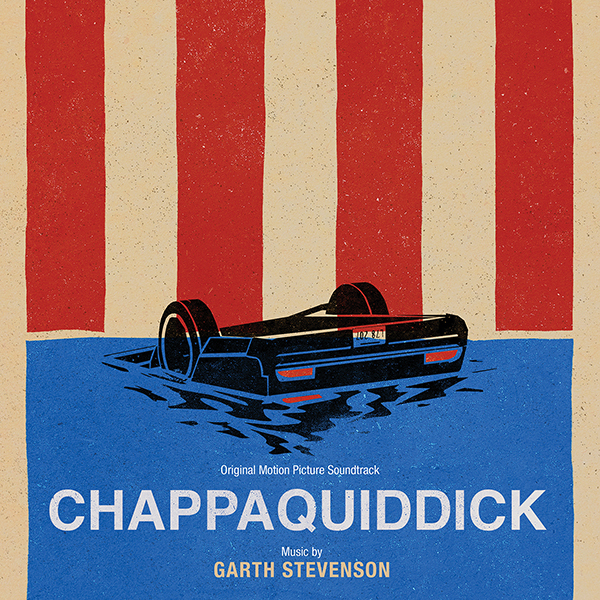 Varèse Sarabande will release the CHAPPAQUIDDICK – Original Motion Picture Soundtrack digitally and on CD April 6, 2018. The album features original score composed by Garth Stevenson (TRACKS, RED KNOT). CHAPPAQUIDDICK is the untold true story surrounding the scandal & mysterious events of Mary Jo Kopechne drowning as Senator Ted Kennedy drove his car off the infamous bridge. Starring Jason Clarke as Senator Ted Kennedy & Kate Mara as Mary Jo Kopechne. New York based double bassist and composer, Garth Stevenson, creates music for film and television. He recently collaborated for the second time with director John Curran (THE PAINTED VEIL) on the biographical drama CHAPPAQUIDDICK, starring Kate Mara and Jason Clarke. Curran and Stevenson’s first collaboration was on the 2013 dramatic biography, TRACKS which featured Mia Wasikowska and Adam Driver. Stevenson’s score accompanied the character’s long desert trek from Alice Springs to the Indian Ocean. Stevenson lent an anguished beauty to the Antarctic-set drama RED KNOT (which he also has a part in), and sensitively scored the PBS Independent Lens documentary, YOUNG LAKOTA—which tackled a story about Native Americans, politics, and abortion. Stevenson also scored the drama TEN THOUSAND SAINTS (starring Hailee Steinfeld and Ethan Hawke), and the documentary, RESILIENCE, which premiered at the Sundance Film Festival. Garth’s most recent work can be heard in the drama TATER TOT & PATTON (starring Jessica Rothe and Bates Wilder), SEED: THE UNTOLD STORY, THE GRIZZLIES, and in the pilot of the new TV drama directed by Alan Taylor, ROADSIDE PICNIC. Stevenson grew up in the mountains of Western Canada, where he learned to play piano and double bass, and cultivated a harmony with nature. He studied at Berklee College of Music before launching into an active career of composing and performing. His time spent outdoors with his 150-year-old bass has inspired three studio albums, including the highly reviewed Flying and Voyage. He has also played his instrument on more than 50 studio albums for other artists.